Happy Tuesday! I am celebrating Whose Hands Are These? : A Community Helper Guessing Book's book trailer with author Miranda Paul and illustrator Luciana Navarro Powell. Thankfully, they both agreed to finish three of my sentences. I wrote the words in orange, Luciana wrote the words in purple, and Miranda wrote the words in green. Thank you, Miranda and Luciana! The book trailer for Whose Hands Are These? : A Community Helper Guessing Book features some art from the book and is acted by kids from Solana Vista Elementary School. 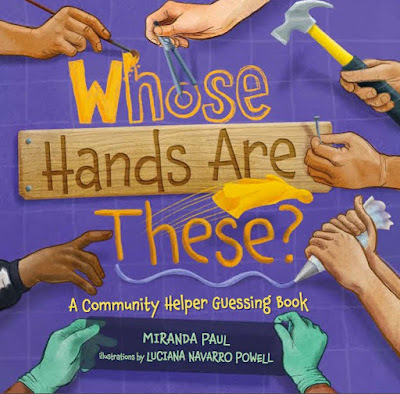 I tried to re-create the guessing game spirit of the book by asking the kids to mimic what their hands would do at the work they will like to do one day. Some kids picked jobs that are actually in the book, and some not. For the trailer soundtrack, I chose a fun, joyful tune with clapping hands and snapping fingers - hands in images and in sounds! I created the illustrations of the hands by photographing my own hands or of friend's, then painting them in loose strokes of watercolor, then scanning and adding details digitally. Some of them I got right at the very first attempt, but some took a few tries - hands are one of the most challenging parts of the human body to draw, because they are so complex. I have now a collection of hundreds of hand watercolors on my studio shelves. Did you know that both teachers featured in the book's last 2 spreads are real teachers from Solana Vista Elementary, from Solana Beach, California? They are the fabulous Mrs. Johnson, a Kindergarten teacher, and Mr. Cain, 1st grade, who were both my sons teachers and instilled in them a love of school, of learning and reading at the very beginning of their academic lives. I'm very grateful for their guiding hands and loving hearts, and of all of the dedicated teachers out there! I wrote Whose Hands Are These? : A Community Helper Guessing Book because I like games and books, and thought it would be fun to write something that was BOTH a game and a book! The first time I saw a finished copy of Whose Hands Are These?... I knew I'd have to read it many times to catch all of the fun, hidden connections in Luciana's illustrations. Borrow Whose Hands Are These? : A Community Helper Guessing Book from your school or public library. Whenever possible, please support independent bookshops. As a person whose hands are an integral part of her life and living, I cannot wait to find this in my local library and buy it for some clever little ones I know. Congratulations, Miranda and Luciana. 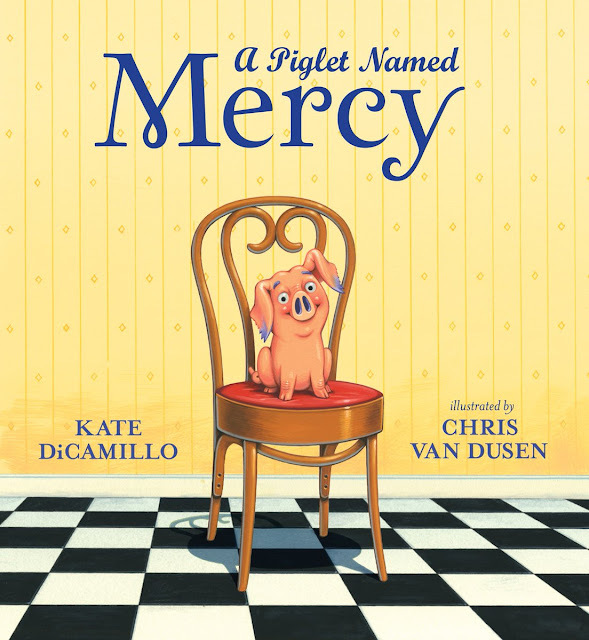 The video trailer for this book is super cute!